Are you set up for success in 2016? Join 2,500 real estate industry leaders Aug. 4-7, 2015 at Inman Connect in San Francisco. Get Connected with the people and ideas that will inspire you and take your business to new heights. Register today and save $100 with code Readers. David Walker is co-founder/CEO at TripleMint. Describe what you do in one sentence: I do everything and anything to help TripleMint hire great people and create the best possible client experience when buying, selling or renting a home. Outside of work, I love to be active and spend time outside. I love to bike, walk the High Line, play golf, run along the Hudson River and ski in the winter. I was a rower in college, so I try to get out in a shell every once in a while as well. “The Old Man and the Sea” by Earnest Hemingway has always been a favorite of mine because it so perfectly captures how physical and philosophical challenges drive us forward. Far from it. Both my parents are entrepreneurs, and that definitely influenced my decision to start my own company. My dad started his own real estate investment and development company 20 years ago, and my mom started her own consulting firm after many years as a corporate executive. Why’d you decide to join or start your company? 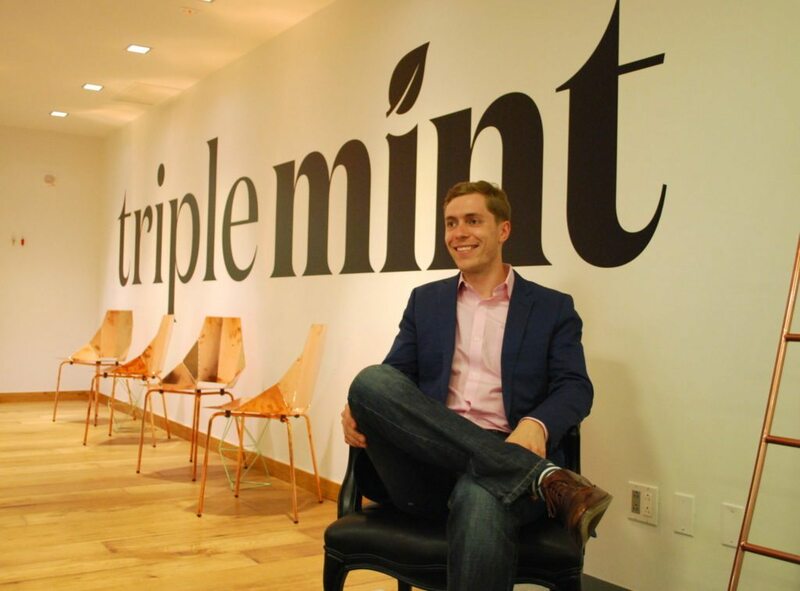 I started TripleMint with my co-founder, Philip Lang, because we saw an opportunity to improve the client experience when buying, selling or renting a home. We saw the importance of combining powerful technology with expert real estate agents to change the industry for the better. When we first started the company, “real estate tech” wasn’t the booming sector it is today, and funding was hard to come by. We decided to bootstrap and focus on providing the best possible client experience right from the beginning, because we didn’t have the funding to try and fail a few times. It really pushed us to focus. I’m most proud of the amount of success we’ve had as a direct result of focusing purely on client experience. By raising the standards of our service, we have seen an average close rate that is multiples higher than the industry average. When Phil and I started the company, we knew that we needed a special team to reach our goals. However, retention of real estate agents, in particular, can be a difficult feat. We took a pause and spent a lot of time examining what really motivates a sales team and how to keep them working toward both the greater company mission and developing their own successful careers. In the end, we were able to design a unique career development plan for our agents with a great office culture and full benefits that has been a key factor to our success. Have a strong set of core values for your company and hire the best possible people who believe in those values. I actually think most real estate technology is overrated. The question I always ask myself is how to use technology to create a better client experience. With so much data available to the consumer, real estate agents have to embrace new technologies and become true advisers to their clients. That our company doesn’t push the industry forward enough. I’ve never been a fan of spiders. The StreetEasy founding team for bringing data transparency to homebuyers, sellers and renters in New York City.